Our true spiritual friends are the positive potentials in our minds, which will never never disappoint us and never desert us. 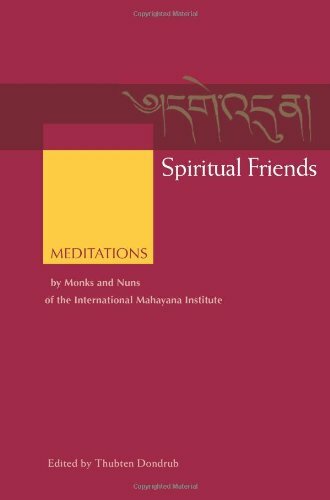 Similarly, the generous and personal meditations offered in this book help us develop these potentials and thus are true friends to whom we can always turn. Likewise, the Sangha, as the ordained followers of the Buddha upon whom the continuity of the Buddha's teachings depend, are spiritual friends who encourage us and inspire us to transform our minds.